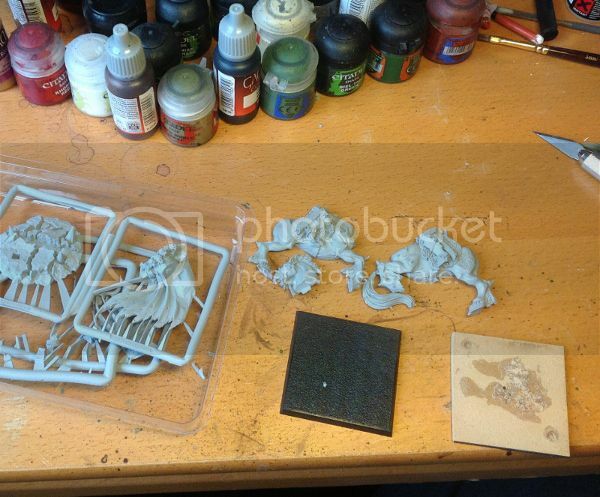 I’ve been busy again with the Wood Elves, this time working on a pretty exciting conversion- a Wood Elf Spellweaver on Unicorn. 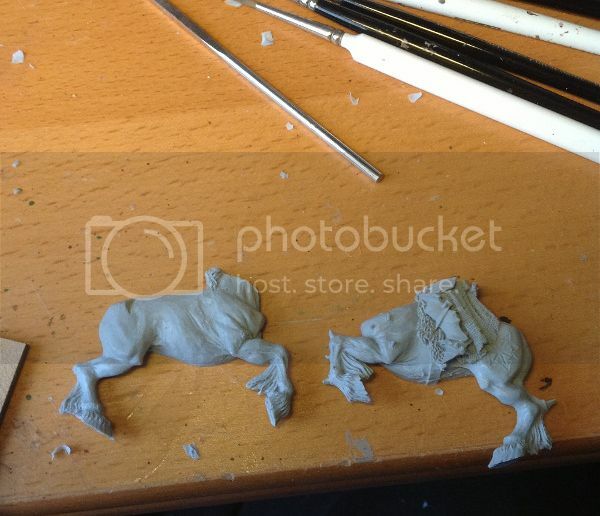 I took the Finecast Archaon model, which happens to include the biggest horse in the GW range, “Dorghar”. 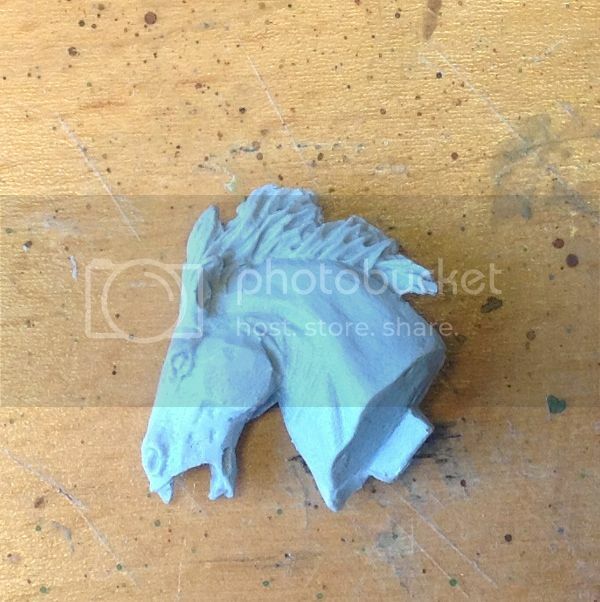 After some major hacking and filing I managed to remove all the chaosy bits and leave myself with just a big horse! 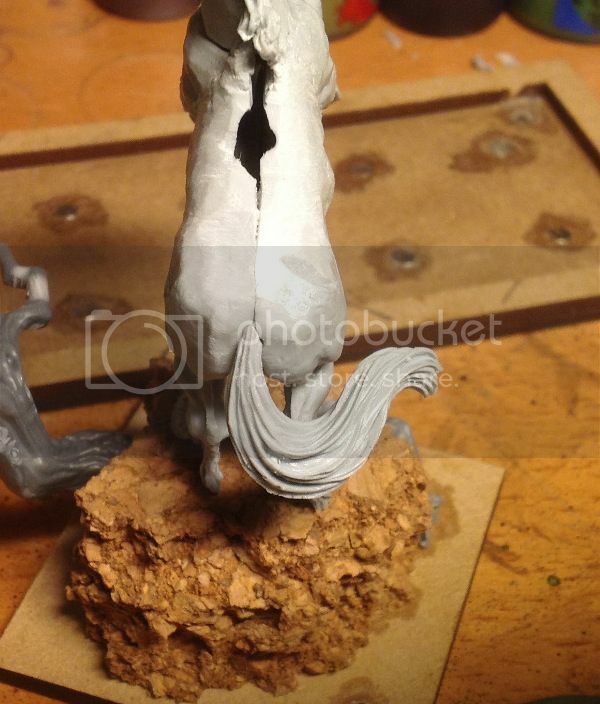 There was some serious rebuilding required with greenstuff and I took the opportunity to add a magnet into the body of the horse so that the rider would be removable (Unicorns can be taken individually in Storm of Magic games). 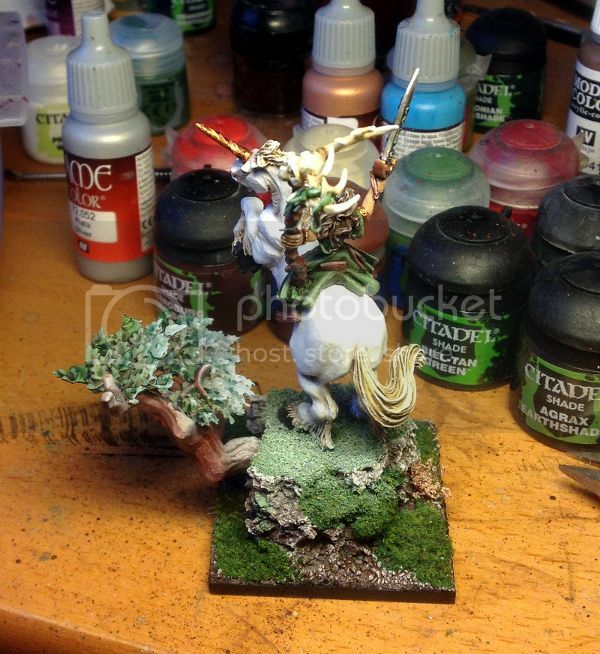 I put quite a lot of effort into getting a glow effect on the base and leaves of the nearby tree- hopefully this has the effect of making the Unicorn itself look magical and ethereal. 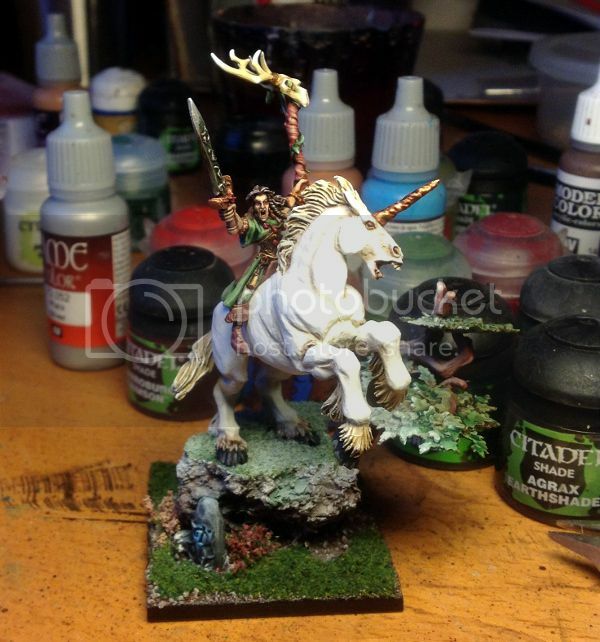 This entry was posted in Army Blogs, The Wild Hunt- Jon's Wood Elves, Warhammer Fantasy, Wood Elves and tagged spellweaver on unicorn, unicorn conversion, warhammer unicorn, wood elf unicorn. Bookmark the permalink.